How effective are the new automatic braking systems being offered on small-size, luxury crossover SUVs? The Insurance Institute for Highway Safety (IIHS) decided to put them to a test and came up with some surprising results. Nine of the 11 vehicles evaluated succeeded at automatically applying the brakes in sufficient time to avoid hitting a pedestrian dummy used in the tests. But only four earned a "Superior" rating by completely missing the dummy and avoiding impact, according to a February 22 report by Car and Driver. The other seven didn't fare so well. One, in fact, failed the test completely – BMW's X1 SUV. In the 37 mph parallel adult test, the vehicle didn't brake at all, sending the dummy airborne. The X1, equipped with BMW's Daytime Pedestrian Detection, received a score of zero for its poor performance, said Car and Driver. Two cars, the Subaru Forester and Toyota RAV4 did the best of the bunch, with the Honda CR-V and Volvo XC40 also receiving Superior ratings. The automated braking systems, which the IIHS wants to be standard on all vehicles in the near future, use onboard cameras and sensors to warn drivers, and if needed, automatically apply the brakes if the driver does not take action. CBS Evening News said that IIHS hopes this new automatic braking technology could prevent 65 percent of all pedestrian collisions. IIHS' tests, conducted at a test track in Virginia, looked at the 2019 Honda CR-V, 2019 Subaru Forester, 2019 Toyota RAV4, 2019 Volvo XC40, 2019 Chevrolet Equinox, 2019 Hyundai Kona, 2019 Kia Sportage, 2018–19 Mazda CX-5, 2019 Nissan Rogue, 2019 Mitsubishi Outlander and the BMW X1. There were three tests overall, involving different scenarios and speeds, and pedestrian dummies with realistic moving legs. In one, an adult dummy walks across the road from the right side while a vehicle is traveling at both 12 mph and 25 mph. In another, the adult walks away from a vehicle parallel to the road in the right lane while the test car travels at 25 mph and then 37 mph. And in the third scenario, a child walks into the road, but unlike the adult test, the child dummy darts out from behind two parked cars. That test was run at 12 mph and 25 mph. According to Car and Driver, the IIHS ran each test five times on dry pavement, where the dummy began to walk at a preset distance from the vehicle. The final ratings were based on the average speeds each vehicle reached upon impact or, ideally, when there was no impact. For the test involving the adult walking straight in the lane, the IIHS gave more scoring weight to vehicles that sounded a collision alert at least 2.1 seconds prior to impact. WSBT-TV 22, also reporting on the SUV tests, said that reducing pedestrian crashes was the goal of the IIHS evaluations and that their initiative comes in the wake of a rising number of pedestrian crashes and fatalities since 2009 – an increase of 45 percent! In 2017, a total of 5,977 pedestrians died in crashes, stated IIHS. This number represented 19 percent of all traffic fatalities, according to CBS News. Responding to this disturbing trend, IIHS said it will "begin evaluating automatic emergency braking systems with pedestrian protection for not only how effectively they prevent crashes with cars but also now with humans." Each year, the IIHS publishes a list of vehicles it calls its "top safety picks," based on vehicle tests it conducts to determine crashworthiness – how well a vehicle protects its occupants in a crash. IIHS also rates vehicles for front crash prevention, systems that warn the driver or brake automatically to avoid or mitigate a frontal collision, and headlight effectiveness. The vehicles that perform best in the tests qualify for Top Safety Pick, a recognition which has been given by IIHS since the 2006 model year. To view the results by model year, including the most recent ones from 2019, go to the IIHS website. The list includes minicars, small cars, midsize cars, midsize luxury cars, large cars, large luxury cars, small and midsize SUVs, midsize luxury SUVs and minivans. 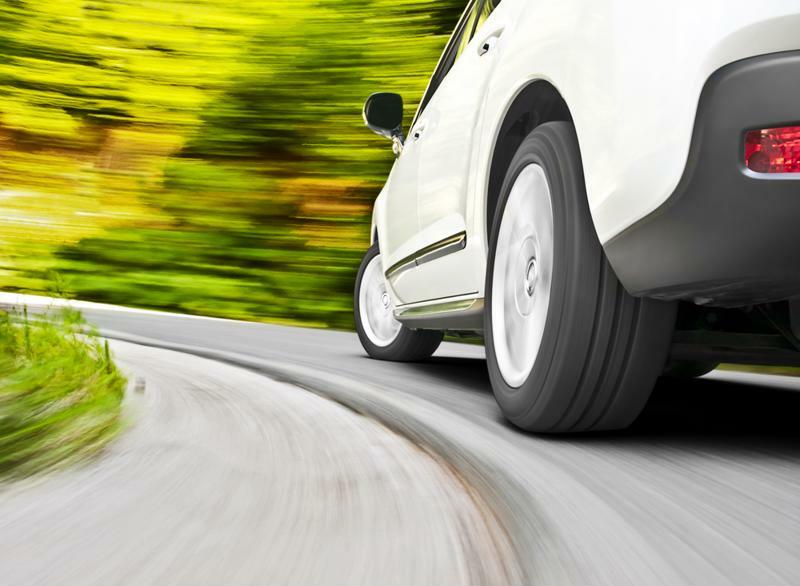 If you are an automotive engineer or designer working on braking systems, ask for a complimentary brake testing consultation from Greening.